Founding partner of the Firm of Lopez, MartInez & Kawarabata, S.C. Ms. Kawarabata obtained a Bachelor Degree in Communications in Spanish and English from the International Christian University in Mitaka, Japan (1985). Ms. Kawarabata has been certified as Japanese expert translator by the Superior Court of the State of Baja California, Mexico. She specializes in translating and interpreting for commercial and business clients, in particular relating to the Maquiladora industry. Her services are also often requested by the courts for labor and commercial litigations. 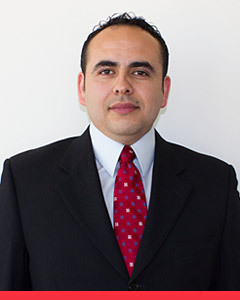 Formerly associate at Jaurequi y Navarrete, S.C., Mr. Valles obtained his law degree from the Instituto Tecnologico y de Estudios Superiores de Monterrey (ITESM, 2004), Chihuahua Campus. Likewise, he obtained a Postgraduate Specialization in Commercial Law from the Escuela Libre de Derecho and a Certification Program in Bankruptcy Protection Proceedings taught by the Federal Judiciary Institute. 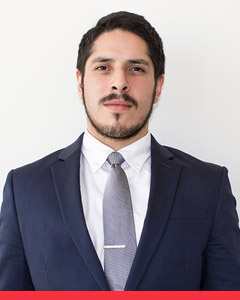 Mr. Valles main areas of practice include Civil, Commercial and Administrative Law, Amparo Proceedings, as well as National and International Commercial Arbitration. He obtained his law degree from the Centro de Estudios Superiores del Noroeste (CESUN, 2008). 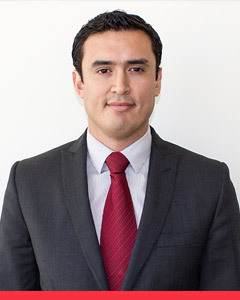 His main areas of practice are civil and commercial litigation, and amparo proceedings. 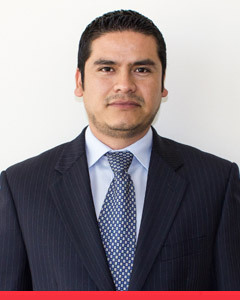 Formerly Legal Department Manager of the firm of Alvarez Carmona y Asociados, S.C. in Tijuana, B.C. Graduated from the Universidad Autonoma de Baja California (2000), her main areas of practice include Corporate and Taxation Law. In 2012 he obtained his law degree from the UABC, with honors. He successfully completed the International Public Law and Intellectual Property Law courses at the Universidad Autonoma de Mexico. Currently Mr. Lorenzana is a Jr. Associate. Graduated in 2009 from the UABC, since then he has worked at this Firm, supporting the litigation practice. Currently Mr. Madrigal is a Jr. Associate. Formerly associate of Alanis, Serrano y Doblado, S.C.. Mr. Maertens obtained his law degree from the Universidad Iberoamericana in Mexico City (2001). His main areas of practice include: Real Estate and Corporate Law, Foreign Investments and Intellectual Property. Mr. Maertens is authorized by the Supreme Court of the State of Baja California Sur, Mexico, as English expert translator and interpreter. Formerly Legal Department Manager at Banco Santander, S.C. in Los Cabos, B.C.S. Mr. Velazquez graduated from the Escuela Libre de Derecho Puebla, A.C. (1994). His main areas of practice include: Civil and Commercial Litigation, as well as Banking and Corporate Law. Formerly attorney in charge of the Litigation Department at Rosenlaw, S.C. in Los Cabos, B.C.S. 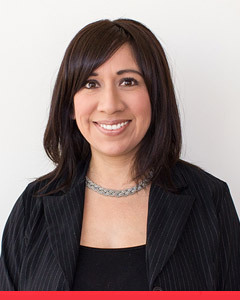 Ms. Espinosa obtained her law degree at the Universidad de Guadalajara (2005). She obtained a Masters in Taxing Analysis at the Universidad de Guadalajara. Her main areas of practice include: Civil, Commercial and Criminal Law.